Please check out our Modulator Section for similar products!!!! 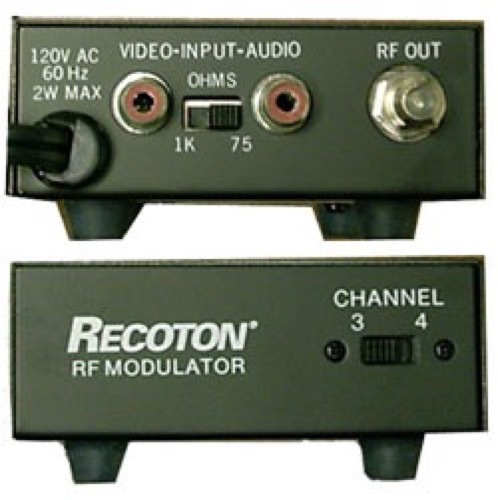 This Recoton RF Audio/Video modulator converts line-level signals to standard VHF Signals. This unit is switchable channel 3 or 4 Output ensures compatibility with your TV. Easy Installation with complete instructions. Allows you to use your TV as a monitor with your computer, video games, camcorder, etc.